Accent Serveis Lingüístics is a new company, created by two professional translators with more than fifteen years of experience. 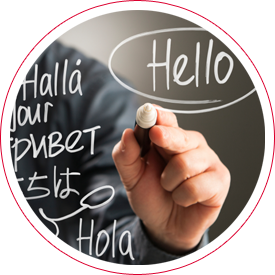 To satisfy the demands of our clients, we work with an external team of professional linguists, proof readers and translators from diverse origins, who are specialists in a comprehensive range of subject matters. This enables us to ensure clients that translation and proofreading is always performed by experts in their field, and in their mother tongue. We are punctual, thorough and creative. We are dedicated to excellence in communication.